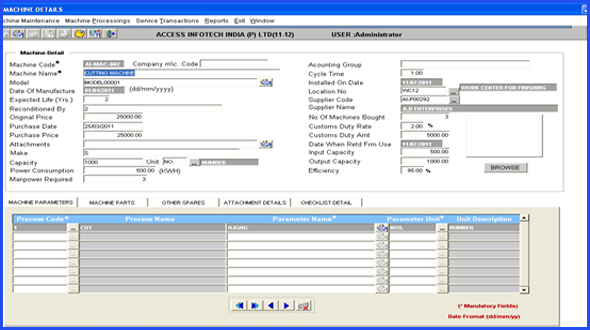 Machine Details form is used for recording the information related to the machines in details which can be referred on the forms and report on the basis of machine code where ever such information is required. 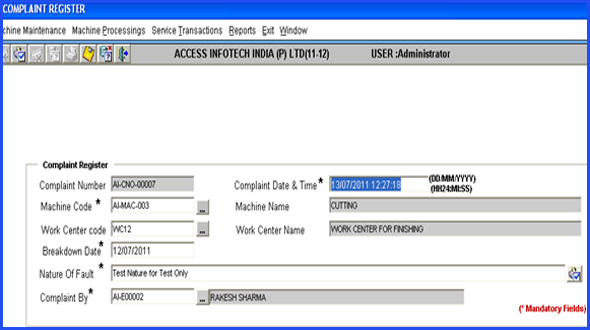 In this form, daily complaints register in which note down each complaint (regular complaint occurred while production). Job assign register form is used for recording the information related to the Job assign related to the service, maintenance and complains to the engineers on the basis of which job cards are assigning to the engineers. 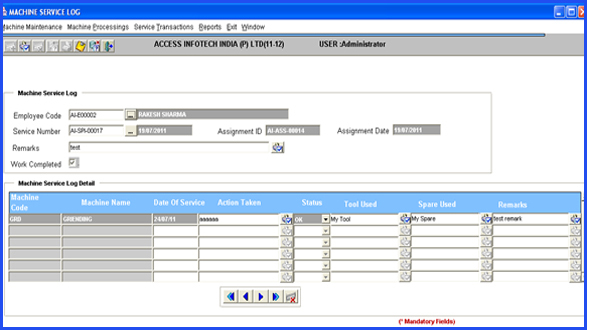 Machine service log contains the information related to the activity carried out by the job assign employee and status of the job id. Machine maintenance log form contains the information related machine maintenance and complains related job assign activity status on the basis of job assign to the employee against Job assign register. 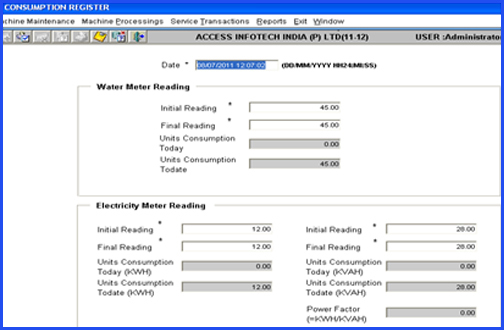 Consumption register form is used for recording the information related to the water and electricity daily consumption done by the company. 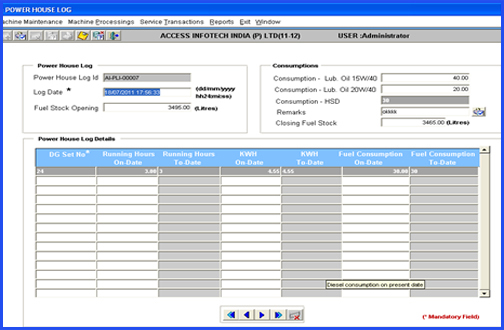 Power house log form is used for recording information related to the power house usage and the consumption of energy, fuel and hours use of DG sets for power.